An interesting Church in a busy part of the City. 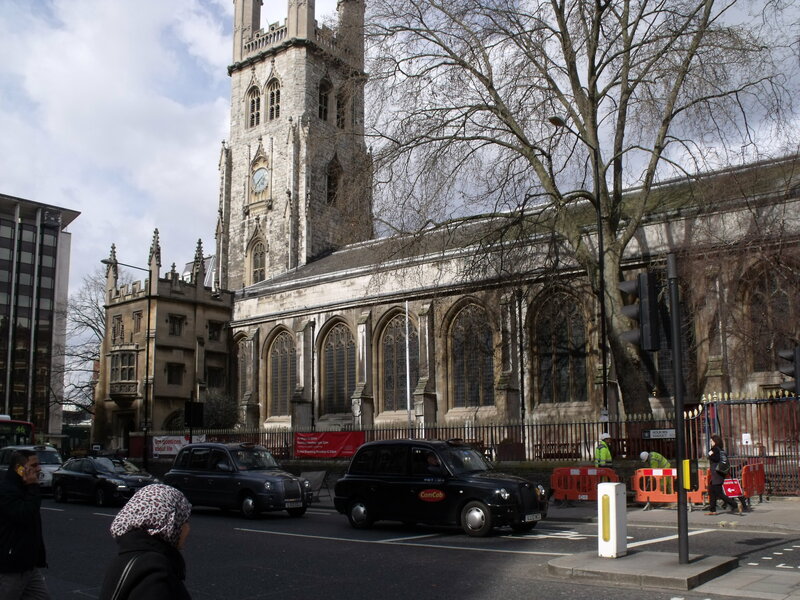 It is actually the largest parish church in London and has a long history. 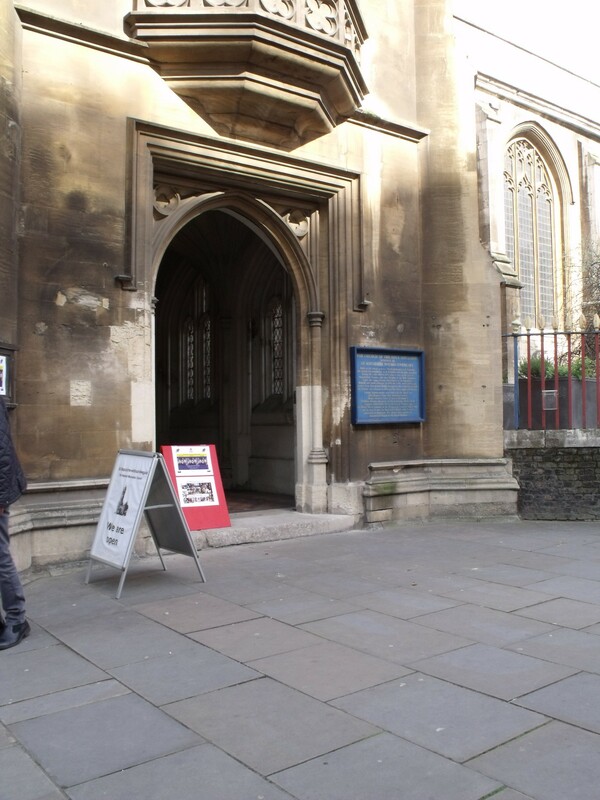 It is known as ‘The Musicians Church’ and, appropriately enough, at the time of my lunch time visit had a concert organised by The Anglo – Japanese Society of Wessex. It was given by a trio called Trio SOL who were playing a selection of modern chamber pieces. Very good they were too and there was quite an audience for this free concert. There is also some building work going on so part of the nave is not in use. Inside, I found some post cards for sale but there seemed to be no guide book but there is a toilet to use. It was hard to wander around but this is an interesting church to visit. 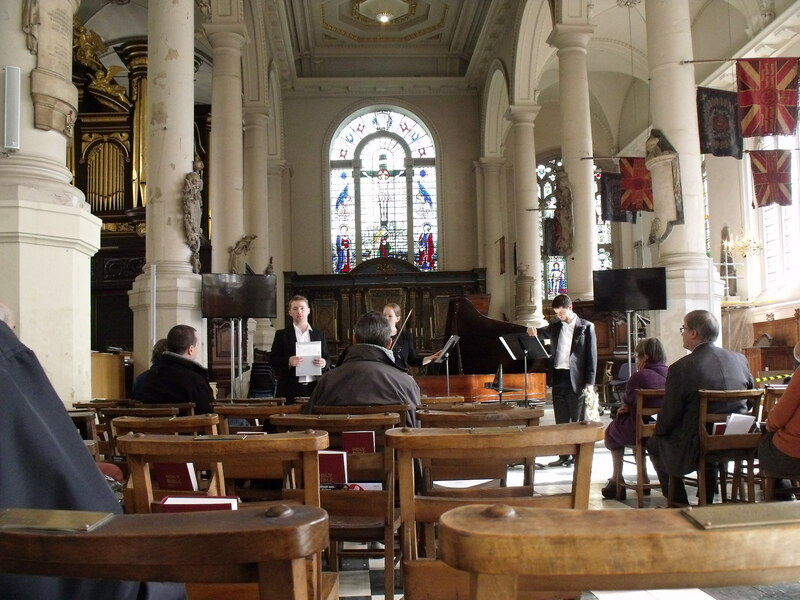 The concert, as many other London churches have, was a real bonus. I rate this church as good and, if you can catch a concert, that is an added attraction.